Hidde Kleikamp (Netherlands, 1991) started his singing career as a boy soprano in the choir of St. Bavo’s cathedral in Haarlem, when he was seven years old. He was part of the choir for thirteen years, singing many solos in concerts and church services. He also sang in the chamber choir Haarlem Voices for three years. After receiving a BA in Musicology from the University of Amsterdam, he moved on to the Royal Conservatoire in The Hague, where he currently studies with Sasja Hunnego. Hidde took masterclasses with Frans Fiselier, Peter Kooij, Jill Feldman, Robin Blaze and Ann Hallenberg, and did several opera workshops with counter tenor Michael Chance, in one of which he performed the title role in Claudio Monteverdi’s l’Orfeo. As a soloist, he sang in the Requiem of Fauré and Duruflé, Liszt’s Via Crucis and Mozart’s Krönungmesse (KV 217). Hidde worked in projects with Anthony Hermus, Charles Toet, Peter van Heyghen, Kurt Bikkembergs, and many others. He also took part in many international concert tours to, among others, the United Kingdom, Germany, France and Italy. 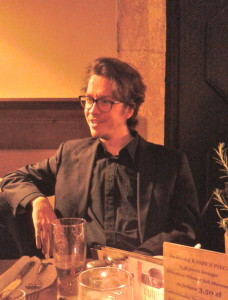 Hidde co-founded the all-male vocal ensemble Haerlemsche Heeren, of which he was artistic director from 2011 to 2015. Since 2014, he also receives conducting lessons from Jos Vermunt and Jos van Veldhoven.